There is a new Tide coupon available to print today only! 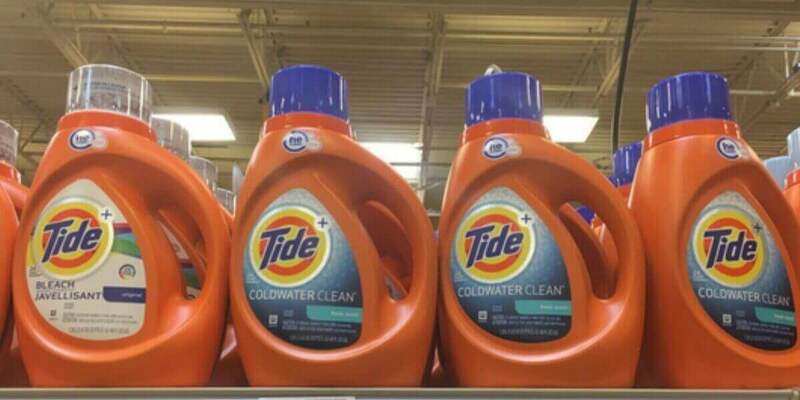 The coupon is for $3.00 off (1) Tide OR Gain Detergent 92 oz or larger, Available at Walmart (excludes Tide Simply, PODS, Gain Flings and trial/travel size). The coupon says “Available at Walmart” however it is a regular manufacturer’s coupon and can be used anywhere. See more explaining this here. 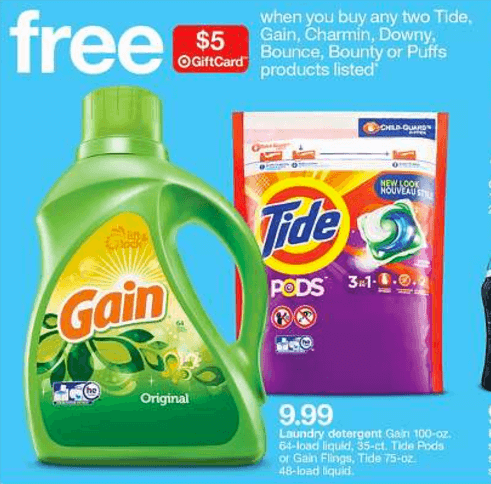 Through 5/20, Target has the Gain Detergent, 100oz on sale for $9.99 and when you buy 2 you will get a $5 Target Gift Card making these just $4.49 each after stacked offers! That’s only $0.07 per load, amazing price for this brand! Check out some awesome deals you can score at Walmart as well! Sperry Men’s or Women’s Sneakers $29.99 (Reg. $69.95) + Free Shipping!